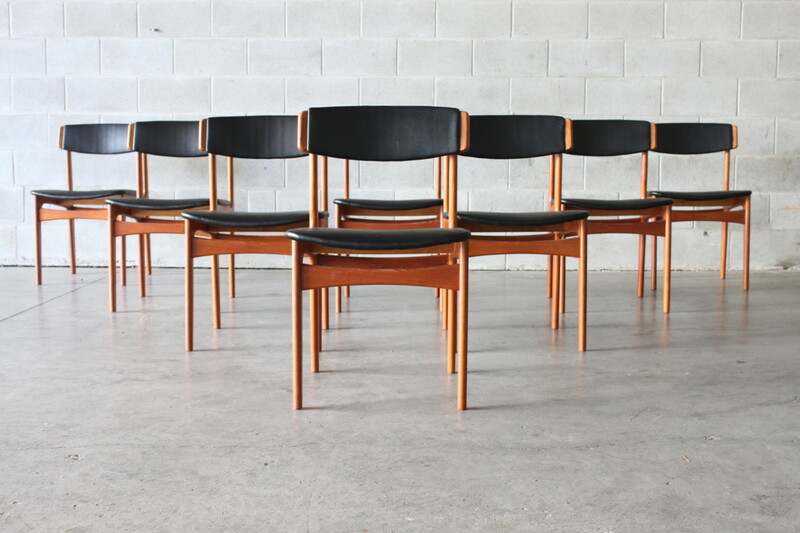 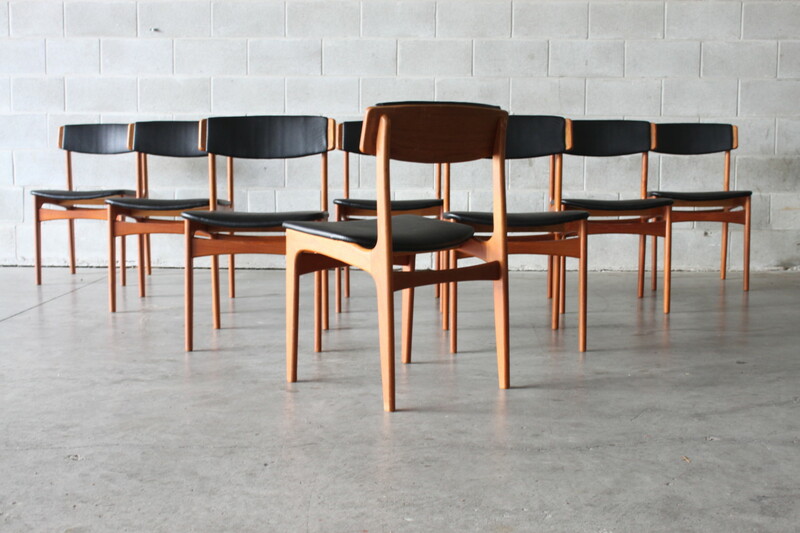 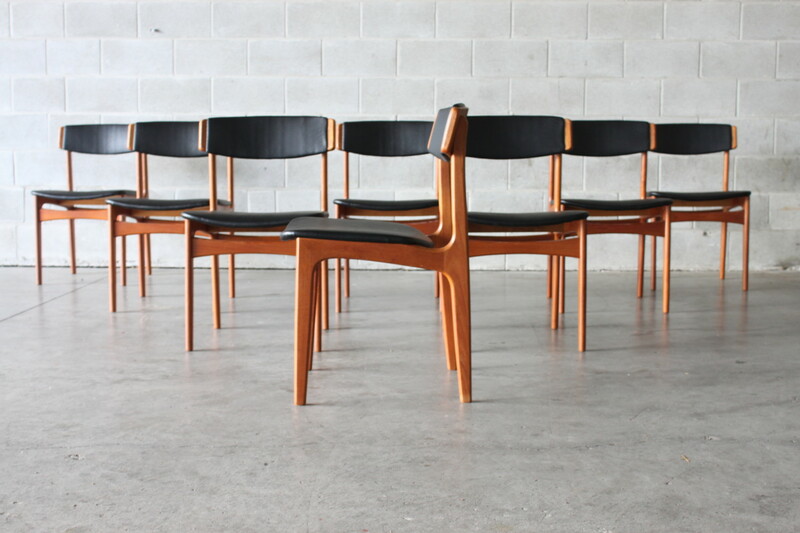 A matching set of eight dining chairs by Thorso Mobler. 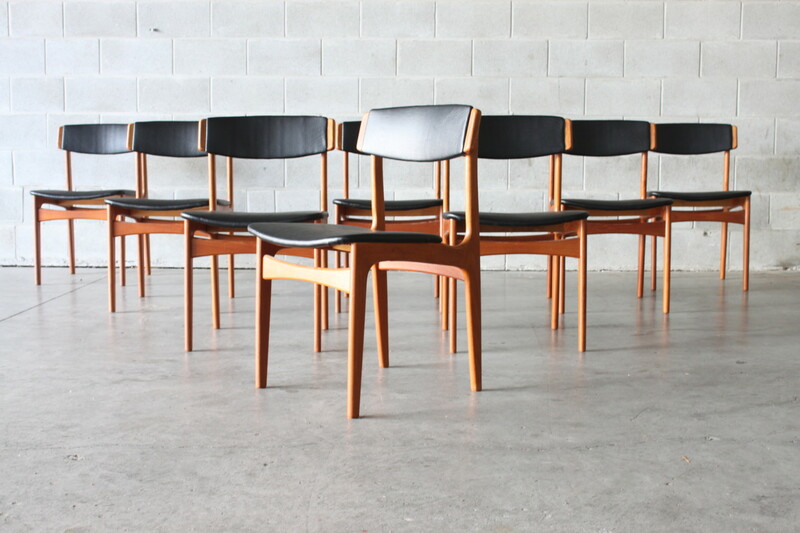 They are made of teak and have new black vinyl applied. 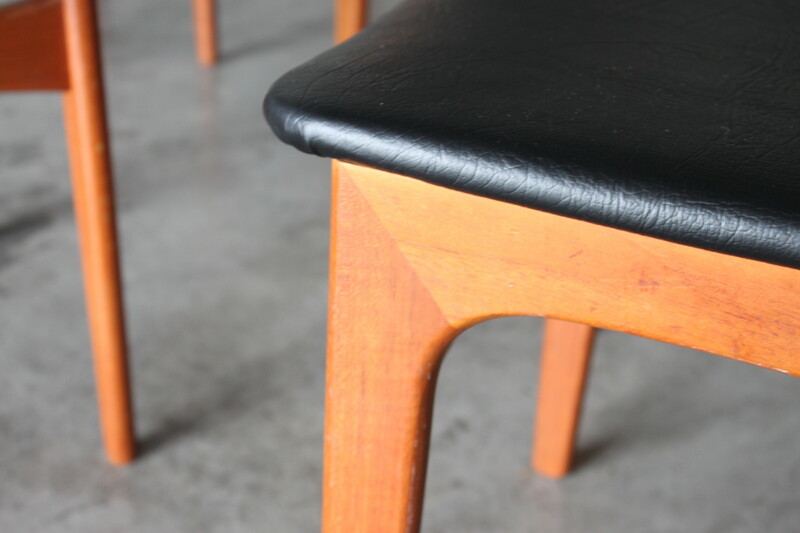 These chairs are very sturdy and comfortable with the padded back rests and exposed finger jointing is present throughout, this is a good quality set.